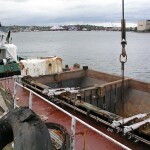 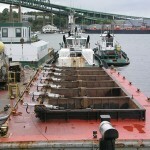 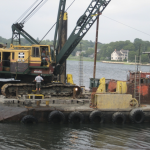 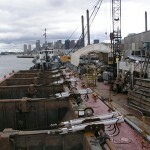 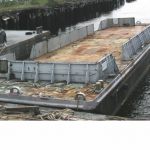 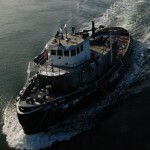 The 743 is a 650 cubic yard capacity dump scow built for the U.S. Army in 1950. 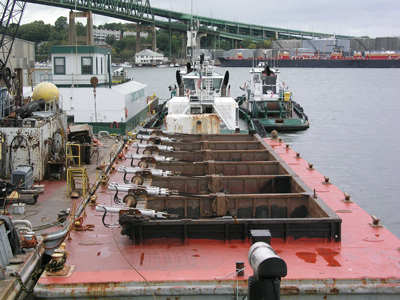 The 743 is a 6 pocket scow much like the 742 also re-fit with automatic hydraulically actuated dumping doors and remotely dumped leaving the “743” unmanned. 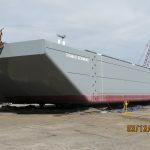 This vessel is 140’ x 36’x 11’ tall. 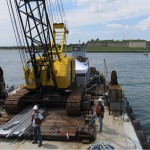 It is also ABS, Loadline certified, has USACE Silent Inspector system installed and is ADISS certified. 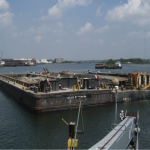 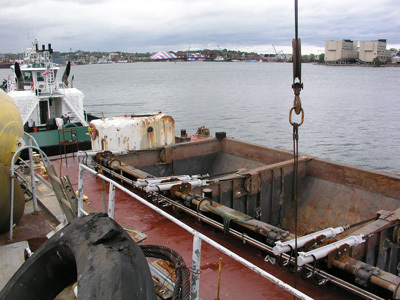 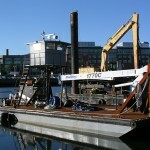 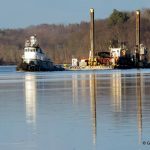 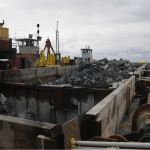 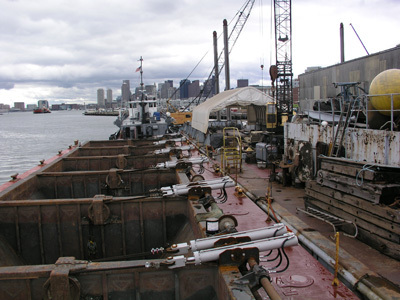 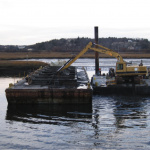 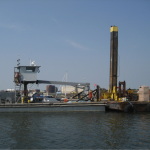 This vessel has shallow draft and can be used to place, cap or cover material as well as the transfer of contained sediments.